The city of Dresden has a tragic story. Once hailed as the Florence on the Elba, a city of high culture and fine museums, it was tragically and controversially destroyed during a fire bombing raid on February 13-14, 1945. So complete was its destruction there was hardly a building left standing. 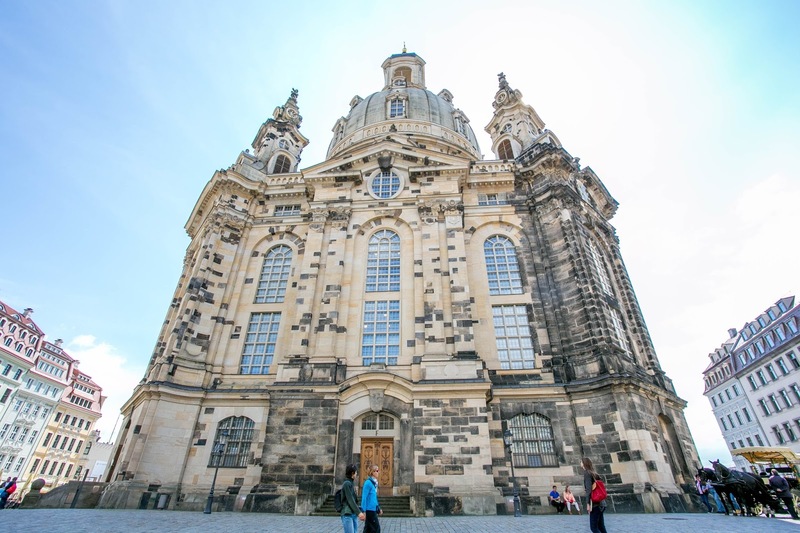 To the credit of its people, Dresden, like so many other European cities, began rebuilding. Only a handful of the most historic buildings were reconstructed piecing together what original stone they could use. As you walk around the city you will notice buildings pock-marked by blackened stones. Those are original's pulled from the rubble. 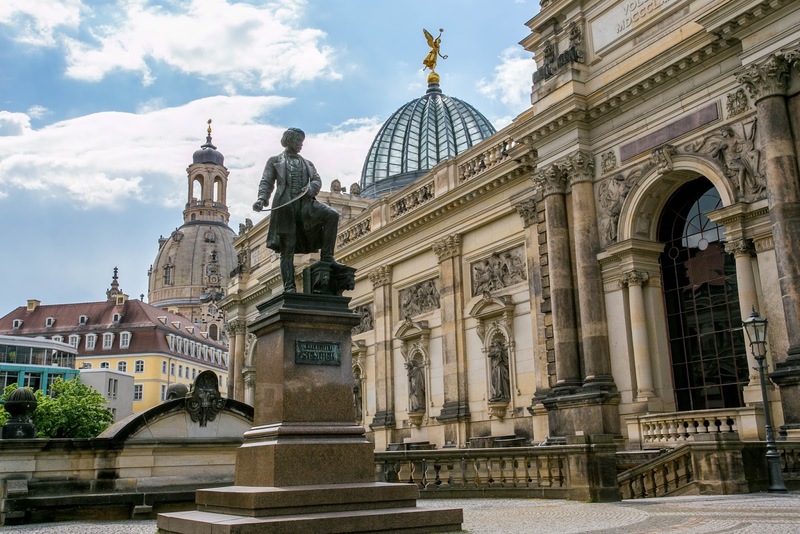 Dresden is not a large town; one can easily see all there is to see in two days and get in a side trip if one day of museums is enough for you. 1. City Stroll--The first thing I like to do, especially if we arrive late in the afternoon after the sites have closed is take a stroll though the city. Get my bearings, find entrances to places I'll be visiting and take pictures. Afternoon/early evening light is great to work with. 2. HofKirche--Ironically, this Catholic church stands front and center on the skyline of this Protestant town. Why? It has a lot to do with 18th century politics. Augustus III was King of Poland and Elector of Saxony. An Elector is a position granted by the Pope and so one wanting to keep in the good favor of the mighty and wealthy church did things like build cathedrals. The church is very understated inside, you won't find the flash of Baroque churches typical of this era. Oh, and see that horse drawn carriage out front? If you don't feel like walking to explore the city, take a ride. Eliza and I did this and it was lovely. 15€/per person, 30 minutes. 3. Frauenkirche: Completely destroyed during World War 2, the ruins of the church sat in a pile for years. In the 1960's a plaque was erected as a memorial to the war. It wasn't until 1994 (after the reunification of Germany) that the church began its slow restoration. In 2005 the church was finally finished and opened to the public. The blackened stones were saved from the original pile of rubble and serve as a reminder of the war. The church has a calming and pleasant pastel colored interior. The 7 exits are spaced equidistant around the base suggesting as one leaves, we "go ye into all the world to preach the gospel." 4. Albertinum: This museum houses Dresden's sculpture collection and the New Masters Collection which consists of art from the Romantics to 20th century modern. 5. The Residenzschloss or Royal Palace: Originally the residence of the royal Saxon family, this building has also been reconstructed and now houses the royal nick nacks. I was a little disappointed that there were no grand ballrooms or bedrooms open to visit, but perhaps they are still under construction. The main attraction here is the Green Vault which requires a timed ticket reservation. These rooms hold the treasury of the Saxon royal family and are a spectacular sight to see. Make reservations online if traveling during high season. 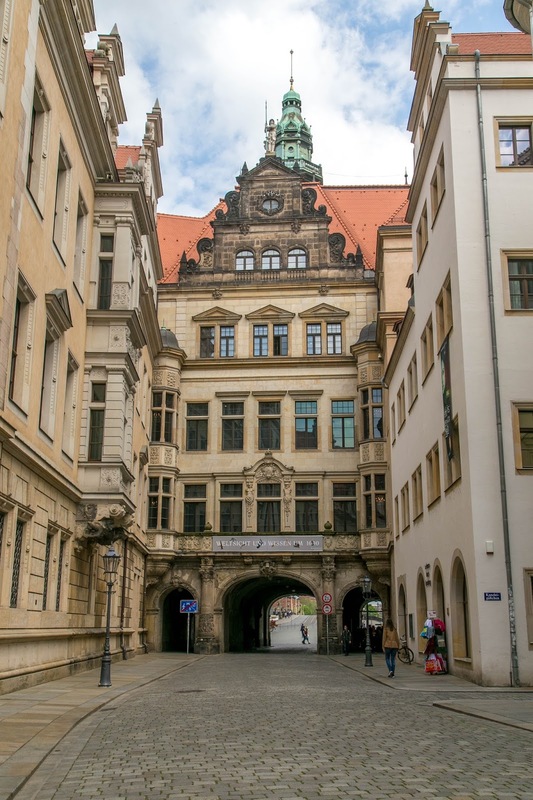 Other exhibits include the royal armory, a beautiful Turkish tent and be sure to climb the tower-it affords you the best arial view of Dresden and a real close up of the statues lining the roof of the Hofkirche. 6. The Zwinger: Honestly, I enjoyed the exterior as much as the interior of this building. The Zwinger is actually 3 museums in one; the main attraction being the Old Masters Collection. Anticipating bombing, the treasures were removed from the museum and stored in basements and in the countryside until the war ended at which point the Soviets carted them off to Moscow. In a gesture of good will the art was returned to Dresden in 1956. All the museums are open Tuesday-Sunday 10am-6pm. For 20€ you can buy a one day all museums pass. It's do-able, but you'll be tired at the end. 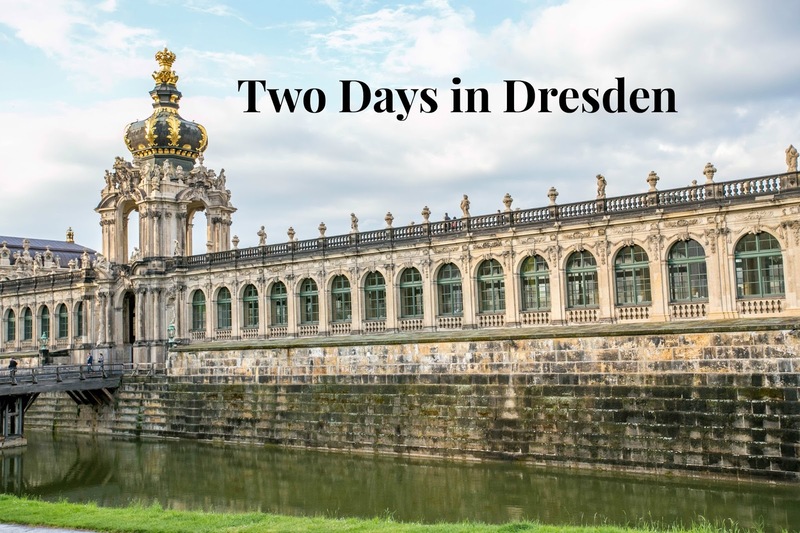 Tomorrow I will feature a side trip from Dresden. Marvelous, regal city. Your photos are grand! I've had the pleasure of travelling to Dresden. Even though so much of it was decimated, what remains is simply beautiful. Your photos do it justice. 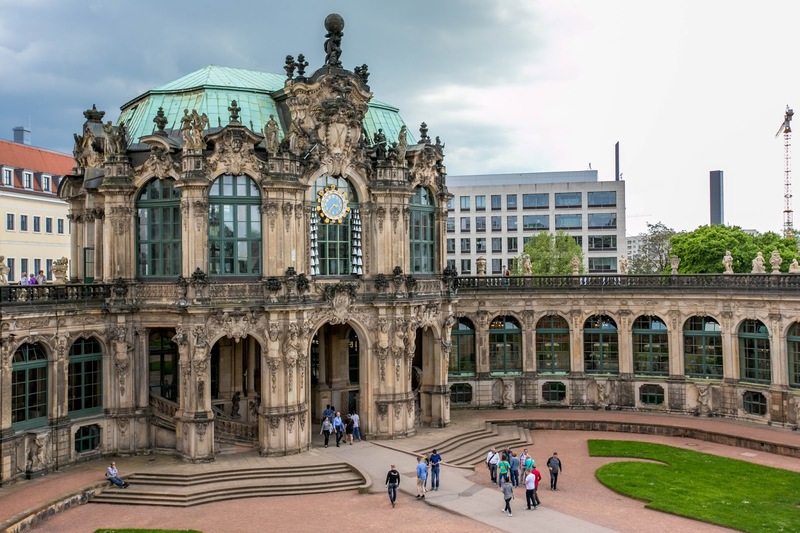 Dresden has been on my list for many years! Maybe next summer! Such a beautiful city. Wow. I have been seeing so many beautiful blog posts on Germany (outside of your blog) that I start salivating. But I have a bit of trepidation. I speak no German at all and I wonder if I can go around with just my English? Thanks. 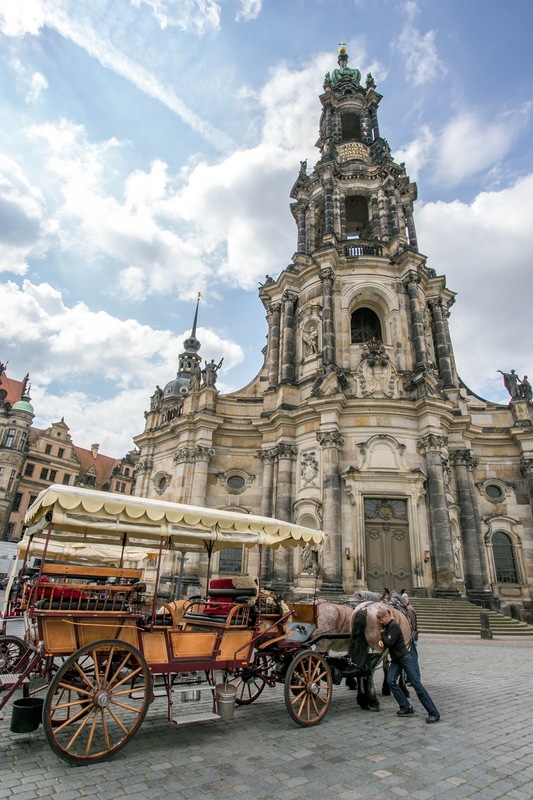 Dresden is on my bucket list! I'm hoping to visit the next time we plan a trip to Europe. Thanks for sharing all these beautiful places to see in this city! This is a city I have wanted to visit after a long time. Amazing how it looks after it was devastated during the war. The city has been beautifully restored, and your photos are gorgeous. I was so fortunate to attend a Christmas season service at the Frauenkirche, that luckily was conducted in English. It is a memory that will last a lifetime as Dresden is also the home of my Oma. These photos are so pretty Brooke. 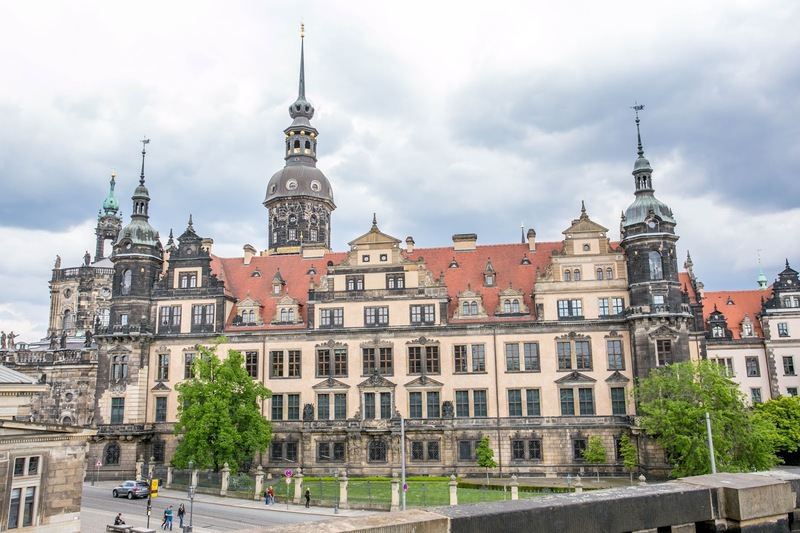 I loved Dresden... it was such an interesting city with its modern architecture on the outskirts and then the historical beauty in the city center.